April 28th, 2011. CD33, 8DPO. Eight days past ovulation, and nothing exciting to report. Honestly, this cycle has been rather boring. Except for the fact that I waited around for a clear sign of ovulation–and then waited another week on top of that–there hasn’t really been much to get anxious about this month. Today is the day when my friend, former roommate, and partner in crime will be performing a full abdominal and pelvic scan on little ol’ me. I might be a huge nerd (might be?) but I am super excited for this. Maybe it’s the hypochondriac in me that loves diagnostic testing, or maybe I’m some kind of masochist, but I just love having tests done. Today should be fun. Besides getting to see a friend who I really don’t get to spend enough time with, I have the opportunity to get an early peek at what the doc at the fertility center will be looking at once we get things rolling in June. I feel very lucky to have this chance, and also to have a friend not only by my side, but actually performing the scans herself. 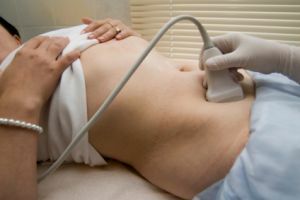 I do have one little hang-up about today, and oddly enough it has nothing to do with the fact that a friend of mine is going to be shoving a giant ultrasound wand into my hoo-ha. I am worried that she will see something… off. I have no real reason to suspect that there’s a problem, except for the looming presence of Infertility of course, but I’ve always had this nagging feeling in the back of my mind that something major might be wrong with me someday. I know it’s awfully pessimistic to think like that, and normally I’m a very optimistic person. It’s just that I’ve always felt that when it really came down to doing the things in life that are the most important, I fear failure. I failed at being a good college student. I failed at several relationships before the husband and I finally overcame our friendship and just went for it. And now I’m failing at the biggest thing for which I was created: reproduction. I guess that at times maybe I’m too hard on myself. It’s something I’ve always had to work on… I may have failed at the college experience, but what I lack in formal education, I make up for in life experience and having finally found my niche in the work-world. I may have failed at relationships that didn’t matter, but I am succeeding at the one that does. And I guess I haven’t officially failed at reproduction–I’m just not quite there yet. Maybe that will give me something worthwhile to think deeply about during my three-hour drive to visit my Friend the Sonographer, and her friend Wandy. Clearly it would be more productive to think about bettering myself than it would be to sing off-key and at the top of my lungs to songs from the Glee soundtrack. Okay, soundtracks. Plural. I have a bunch. Sue me. Maybe I find it inspirational that another girl with a big nose can be talented and beautiful, and maybe I also aspire to one day push out a baby to the tune of Queen’s Bohemian Rhapsody. We all find inspiration in different ways. Don’t judge me. I’m so excited for you! I can’t wait to hear how it goes. Also, have you perchance tested? Just thinking you might want to double-check before you go, just in case. Since you wouldn’t want the u/s to hurt anything if it’s positive! Hmm… I hadn’t thought of that. Although, I’d only be like 3 days pregnant max… I don’t feel like I even really ovulated this cycle, so I guess testing hadn’t crossed my mind! your first u/s if you got preg with an RE would be vaginal at about 5 weeks (from LMP)….all that too say, if you are lucky enough to be preg, it won’t hurt anything, as that’s what the RE does for infertility patient pregnancies. abd u/s won’t show anything till later in preg anyway, so vag is the only way to go early on 🙂 hope you get a GOOD surprise from this! I hope the ultrasound went well today! That’s cool that a friend is doing it for you.